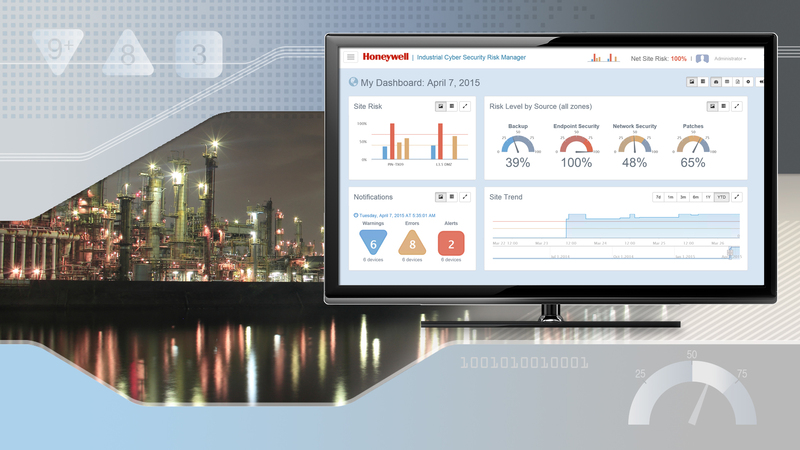 The Honeywell Industrial Cyber Security Risk Manager is designed to simplify the task of identifying areas of cyber security risk, providing real-time visibility, understanding and decision support required for action. It monitors and measures cyber security risk in multi-vendor industrial environments. The threat of cyber attacks on industrial targets is a major concern according to a global survey on cyber security conducted by Ipsos Public Affairs in September 2014 on behalf of Honeywell. More than 5,000 adults in 10 countries were surveyed about the threat of cyber attacks on critical industries in their countries. Three quarters of respondents said they were fearful that cyber criminals could hack into and control major sectors and elements of the economy. Two-thirds of those surveyed thought that the oil and gas, chemicals and power industries were particularly vulnerable to cyber attacks. Honeywell has included proprietary cyber protection software for more than10 years with its leading process automation solutions including Experion process controls, which are used at industrial sites such as refineries, chemical plants, gas processing units, power plants, mines and mills around the world. During that time, the Honeywell Industrial Cyber Security group has delivered more than 1,000 industrial cyber security projects globally. Risk Manager monitors plant assets within and across all security zones of a plant, including third-party systems. By understanding security zones, Risk Manager is aligned with ISA 62443 and is able to calculate accurate risk scores. Risk Manager’s real-time measurement of risk is in line with industry standard risk management methodologies so that risk scores can be used consistently and accurately throughout a corporation’s risk and governance efforts. Risk Manager is the latest addition to Honeywell’s end-to-end portfolio of professional and managed services for industrial environments.